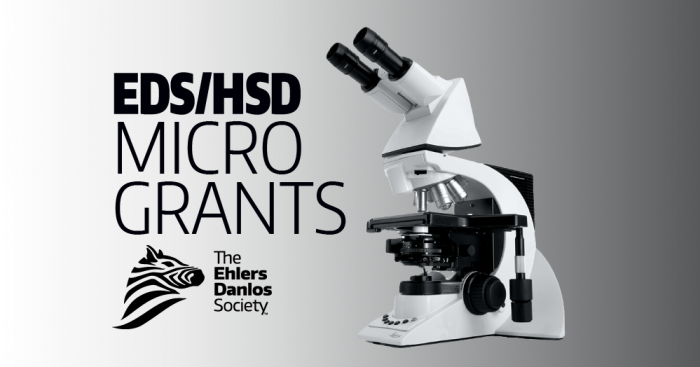 AUGUST 9, 2018 – The Ehlers-Danlos Society funds research at all stages, scopes, and scales. Our microgrants provide funds to early-stage investigations primarily designed to provide evidence or “proof of concept” to encourage larger studies. We are pleased to announce our first group of successful applications that include research into aspects of chronic pain, dental and jaw concerns, and the effect TNX deficiency may have on abdominal pain. Leslie Russek’s team from St. Lawrence County, New York, are exploring ‘Body Awareness’ in the treatment of chronic pain. This type of therapy teaches a person where their body’s parts are in space, how they work with each other, how they feel, and how they should move when moving well. A better understanding can then help a person control their movement and improve pain and function physically (e.g. coordination and muscle control) and psychologically (e.g. reduce fear of movement). Leslie’s team is looking at the Feldenkrais Method as a treatment. Their findings and study design may then also help researchers looking at the benefits and comparison of similar methods such as Pilates and Tai Chi. Pain management programmes for children already exist, but what is not clear is whether those children with hypermobile EDS (hEDS) or Hypermobility Spectrum Disorder (HSD) get the same benefits from these programmes or have different outcomes and different needs from youngsters with other pain conditions. Verity Pacey and her team in New South Wales, Australia have started exploring this in children attending pain clinics in Sydney. With this knowledge, pain teams will be able to develop more tailored programmes for children with hEDS or HSD and then assess the benefits. Lisotte Sonnesen is a specialist in Orthodontics in Copenhagen, Denmark. Orthodontics is a specialty area of dentistry that deals primarily with the mal-position of teeth and the jaw. Lisotte and her team are interested in finding out whether there are certain characteristic features of dental and/or jaw shape that are different in EDS compared to the general population, and whether these differences explain why some EDS patients present with certain concerns such as dental and gum disease, jaw joint / muscle problems, and breathing problems such as sleep apnoea. A better understanding of the characteristic concerns at the teeth and jaw may help Orthodontists identify people with EDS, and guide the approach to treatment. Rubina Aktar is a researcher in Professor Aziz’s team in London, United Kingdom. The group is looking at the link between bowel tissue weakness (e.g. prolapse), symptoms akin to Irritable Bowel Syndrome (e.g. bloating, pain, constipation) and deficiency or absence of the structural protein Tenascin-X (TNX) in the gut wall in Hypermobile EDS. Mouse and Human studies of TNX have shown it to have important functions in the gut, including a relationship with nerves in the gut and roles in controlling sensation and gut movement. Now the team is exploring the association between TNX and abdominal pain. It is hoped this will help to explain why some people with EDS have such problems with the gastrointestinal pain, and that understanding this will lead to novel treatments.